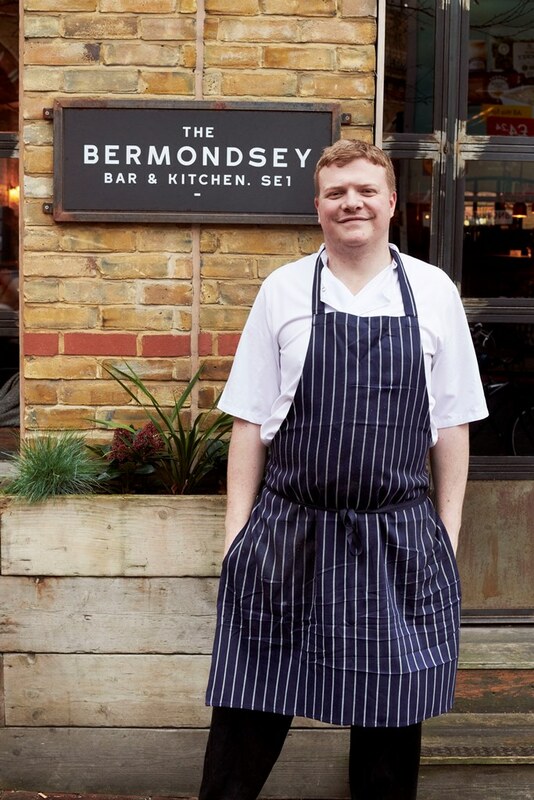 James Donnelly brings his modern British cooking south of the river with a new residency at Bermondsey Bar & Kitchen that opens today, on Tuesday 5th February. 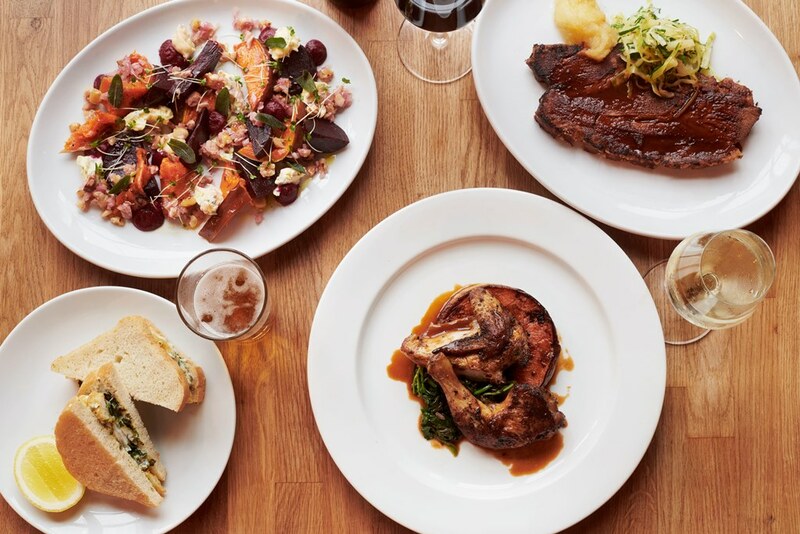 James’s career to date has seen him cook in some of London’s leading kitchens and with the UK’s best chefs, including The River Café and Tom Aiken. Having then taken the Head Chef role at The Palmerston, James left in 2018 to embark on a solo career. 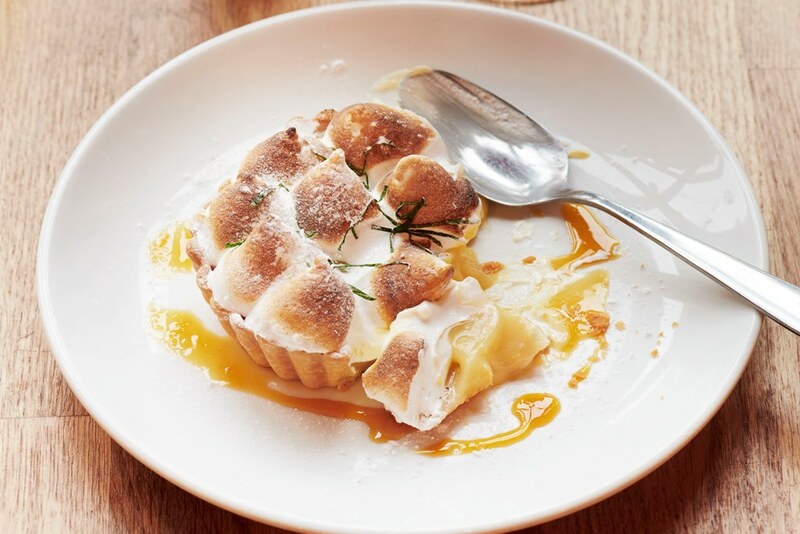 After a sell-out pop up at Louie Louie in Elephant & Castle followed by a further one at The Sun and 13 Cantons in Soho, which food critic Marina O’Loughlin praised, his residency at Bermondsey Kitchen is an opportunity to once again enjoy James’s best of British menu. 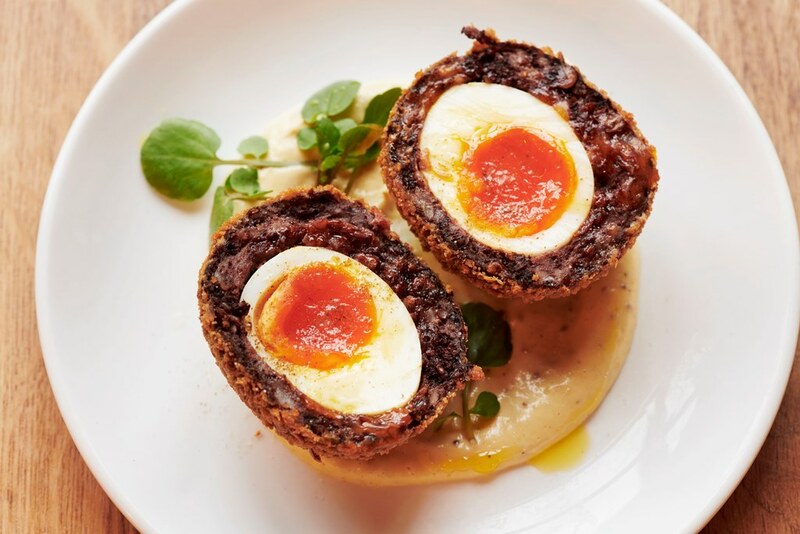 Passionate about our green and pleasant land, James’s dishes are entirely committed to championing independent British producers, delivering a menu that is entirely seasonal and best enjoyed to share. Pork belly from Gloucestershire is brined and slow-roasted and served with sour cabbage and apple compote; fish is sourced through Henderson Seafood, a family that personally select sustainable, seasonal fish from day boats in Devon. Fish dishes include Cod with English green lentils, herb salsa and grilled lemon and roasted Plaice with pickled mushrooms and red wine butter sauce. 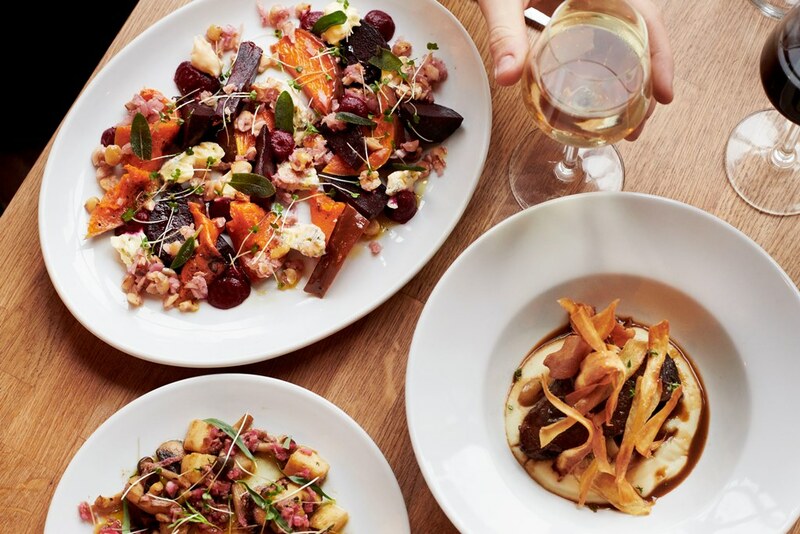 British vegetables have equal time to shine thanks to roast beetroot and pumpkin with Beauvale blue cheese and hazelnut vinegar. At weekends the Sunday roast will be a star attraction and include 35-day aged Galloway beef and roast herb-fed chicken with all the trimmings. Vegetarians can enjoy a roast vegetable and wild mushroom puff pastry with parsnip purée. Whilst James only oversees the kitchen at the premises, there is also a significant bar area with inside and heated outside seating. If it is just a drink you’re after then you may well be tempted by James’s bar snacks to match, from black pudding scotch eggs to Cobble Lane charcuterie there’s plenty to enjoy, all of which provide the perfect antidote to a hard day’s work, or likewise the kick start you need to a great night out …. 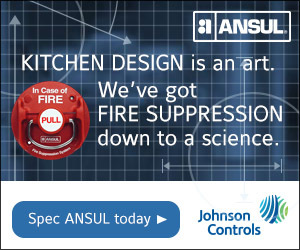 An open kitchen running along one side of the room allows for diners to be a part of the cooking action and ensures a convivial and lively atmosphere. 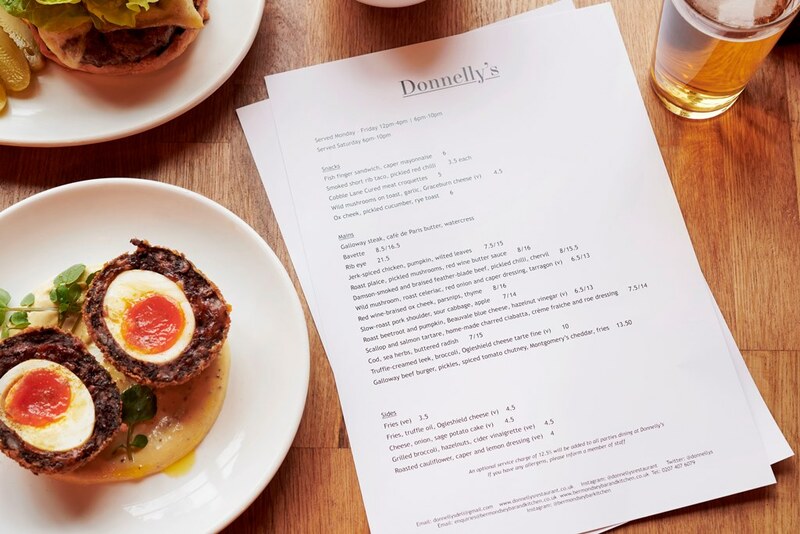 Simple wooden tables and brick walls create an informal and urban space making Donnelley’s the ideal destination for a quick bite or indulgent feast – the flexible menu welcomes all appetites. 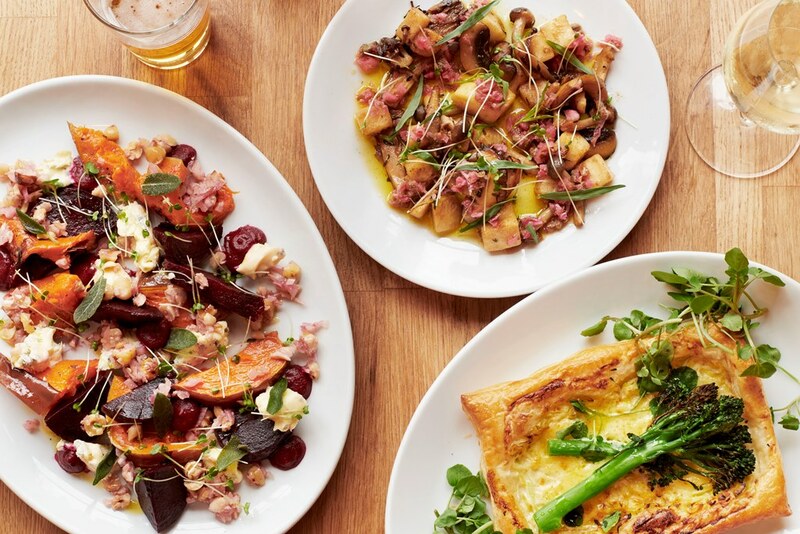 James Donnelly is definitely a chef to watch, his natural and easy approach to cooking reflects a restaurant that is laid back, welcoming and delicious. 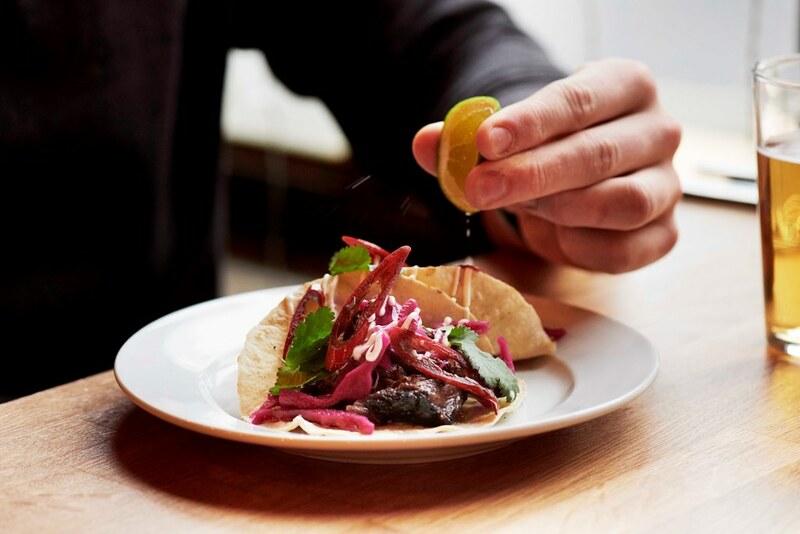 In his own words, “I’m thrilled to bring my food to Bermondsey, it’s a great location and the open plan venue really suits my relaxed style”.